So, yes my stats have gone up massively, but from an exceedingly low start point, and to be honest, I’m slightly wondering why did I bother? So I’ve decided to mull it over for a while and in the meantime, I’m hard at work, making a new linocut – a companion piece to my last one, Up with the Larks, seen below (34 x 33cms). 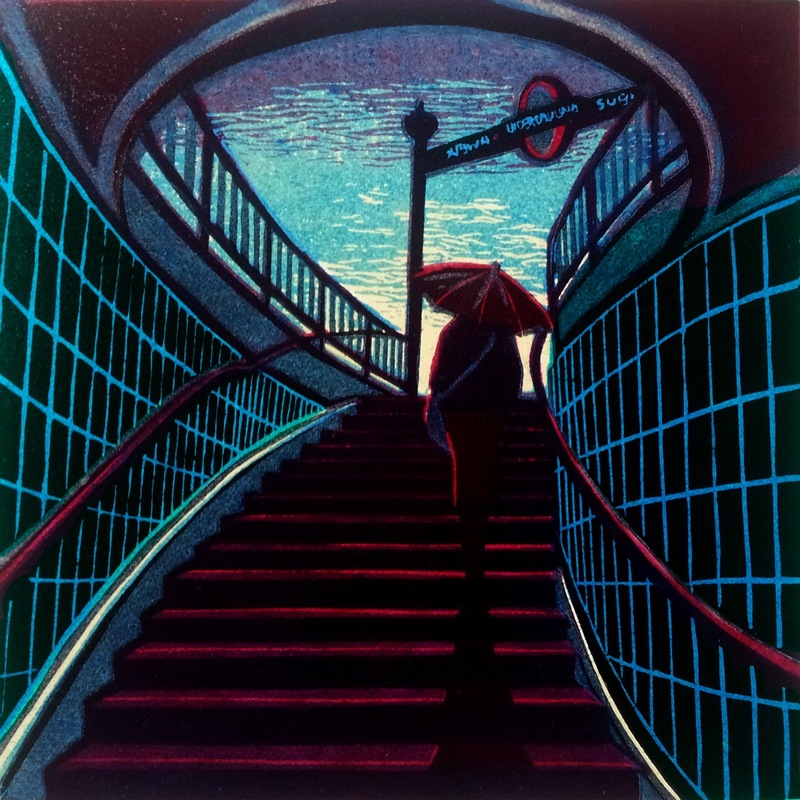 I can see a new passion coming on for dark stairwells, long shadows and floods of light…..